Kia's impressive new Sportage crossover arrives just in time to cause the Tucson a headache. Not so long ago, we carried out a triple test of the most popular crossovers on the market. 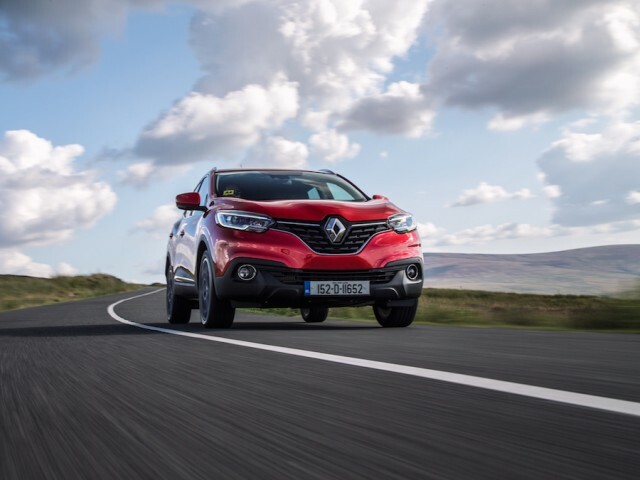 It was essentially our first chance to drive the evergreen Nissan Qashqai back-to-back with its biggest rivals, the Renault Kadjar and Hyundai Tucson. 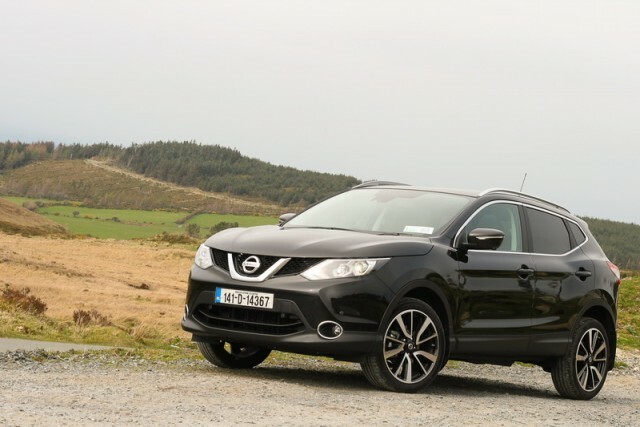 The verdict was not unanimous, but the comparison certainly revealed that the Qashqai, the originator of this class according to most, is finally, after many years of attempts from would be rivals, under pressure. Kia has just made the Qashqai's job even more difficult, by launching a brand new Sportage. Our review of the pre-production Sportage indicated that Kia had kept all that was good about the previous model (still in the top-ten for new car sales in Ireland at the time of its replacement) and upped its game in a few key areas, such as driving dynamics, interior ambience and space. But Matt only drove top-of-the range versions of the Sportage, which are not expected to feature prominently in the Irish sales mix. 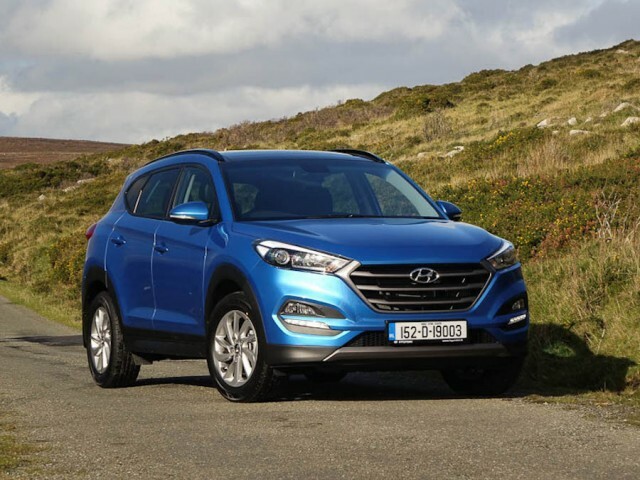 Can it compete with not only the Qashqai, but also its first cousin from Korea, the Hyundai Tucson? If first impressions really are as important as they say they are then Kia's dealers need to carefully choose the specifications of the demo cars they order. The larger wheels look best of course (but they detract from the car's ride comfort) and more importantly, the distinctive new 'face' of the Sportage can look quite strange when it's painted a dark colour. We found it really divides opinion and while we're all in favour of daring design, we prefer if it leads to attractive styling. Thankfully, the Sportage looks great from almost every other angle, from its characteristic side glass profile to a highly contemporary and pert rear end. The interior is good too. There's a bit of a climb up into the cabin, where an upright dashboard smacks of solidity, the new three-spoke steering wheel is good to hold and the interface to control the various menus is pleasingly intuitive to use. There's a large touchscreen as standard in the EX model and up and it works well, being within easy reach. There's plenty of room up front and rear seat passengers are well catered for too, while the boot, at 491 litres, compares well to the competition (Qashqai: 430 litres, Kadjar: 472 litres, Tucson: 513 litres). To remain competitive, Kia has had to benchmark those adversaries in terms of pricing and equipment, even with its seven-year warranty, so the Sportage is well-equipped as standard. The range kicks off at €27,995 for the LX model, which features 16-inch alloy wheels, LED daytime running lights, auto headlamps, a leather trimmed steering wheel, roof rails, cruise control, auto folding door mirrors, Bluetooth and rear parking sensors. Next up is the €29,995 EX version, which adds an inch to the diameter of the alloys, the seven-inch touchscreen infotainment system with satnav and rear parking camera, electric adjustment for the driver's seat, privacy glass, half leather upholstery, Lane Keep Assist System, automatic high beam and a few styling touches inside and out. Topping the range for now is the Sportage GSE from €34,495, featuring 19-inch alloys, a sunroof, Xenon lights, full LED rear lamps, two-tone leather for the seats, upgraded power adjustment for both front chairs, heated front and rear seats, a heated steering wheel, keyless entry and start, climate control, automatic wipers and more. A sporty looking GT Line variant will be added to the line-up at the very end of the year, to capitalise on the current trend for buyers to up-spec their cars. Power comes from the same 1.7-litre four-cylinder turbodiesel engine as before, though stop-start is now standard, bringing the Sportage down into Band A4 for tax (it was previously Band B2). That engine still produces an uninspiring 115hp, but in fairness, on the road it never feels particularly underpowered, thanks no doubt to the 280Nm of torque, available from as low as 1,250rpm. It's pretty quiet at a cruise and around town, though more raucous than we'd like when you demand all its performance. For that reason, we prefer the 2.0-litre engine. It's only offered here in conjunction with four-wheel drive and the option of an automatic gearbox (neither can be had with the 1.7-litre engine), which is why it starts at €35,094 and is not expected to be a big seller. Regardless of what's under the bonnet, the Sportage has a well-sorted and well-judged chassis. It has plenty of wheel travel to nonchalantly absorb bad potholes and speed bumps, yet body control in fast cornering is commendably good. Its brakes are strong, which bodes well for towing, and it's refined on the road. Much like the other three cars mentioned here, it's a great all-rounder. Expect to see plenty of them once dealers catch up all the pre-orders. Hyundai Tucson vs. Kia Sportage: the runaway sales star of January 2016 and a tough new competitor for the segment-starting Qashqai. Nissan Qashqai vs. Kia Sportage: arguably one of the first crossovers, and still very successful, but under pressure now. Renault Kadjar vs. Kia Sportage: built on the Qashqai's underpinnings, with a dash of French style.